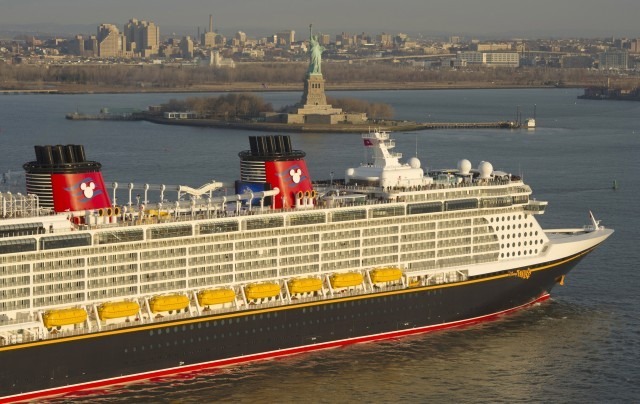 With (4) Disney Cruise ships including the Disney Dream and Disney Fantasy, just an hour from Disney World. It is no wonder guests like to extend their Orlando vacation with a Disney Cruise vacation. Now is the time to save with Disney Cruise specials. You can save with last minute deals or even with resident discounts. Cast off on an awe-inspiring 7-night Canada cruise from New York or Quebec City aboard the Disney Magic—and unearth happy haunts filled with tricks and treats during Halloween on the High Seas. Or embark on a relaxing 7-night voyage from Port Canaveral to the sun-swept Caribbean aboard the Disney Fantasy. *Save 25% off prevailing rates as quoted by Disney Cruise Line for Inside Staterooms with Restrictions (Category IGT) on select 7-night Canada cruises aboard the Disney Magic, and 20% off prevailing rates quoted by Disney Cruise Line for Verandah Staterooms with Restrictions (Category VGT) on select 7-night Caribbean cruises aboard the Disney Fantasy. $1,176 per person, based on double occupancy. Taxes, Fees, and Port Expenses of $188 per person not included. $1,358 per person, based on double occupancy. Taxes, Fees and Port Expenses of $123 per person not included. Canadian residents can save 25% off prevailing rates as quoted by Disney Cruise Line for Verandah (excluding Concierge), Oceanview and Inside Staterooms on one 4-Night Bahamian Cruise and three 4-Night Halloween on the High Seas Bahamian Cruises for October 1, 22, 29, and November 5. Take advantage of special deals for Florida Residents and active/retired United States Military. Book your Disney Cruise Special today!